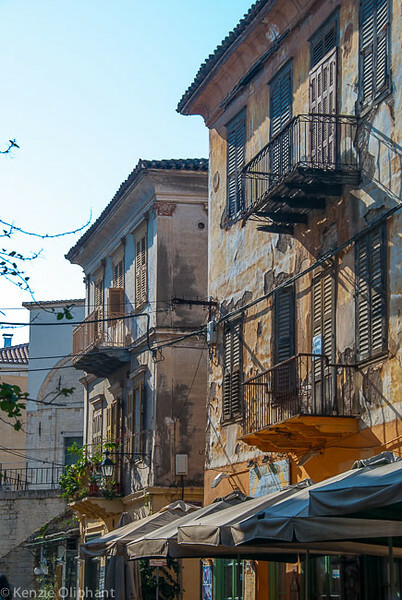 If there’s one thing I learned in Nafplio, on my first day travelling in Greece, it was that a modern GPS navigation unit is no match for an ancient and medieval town plan. The prehistoric roads, dead ends, pedestrian areas and no-name courts are simply beyond the capacity of satellite technology. It tries hard, really it does, but in the end, your GPS will do what mine did – send me off in three different directions, turning again and again and utterly failing to bring me anywhere near where I was supposed to be. 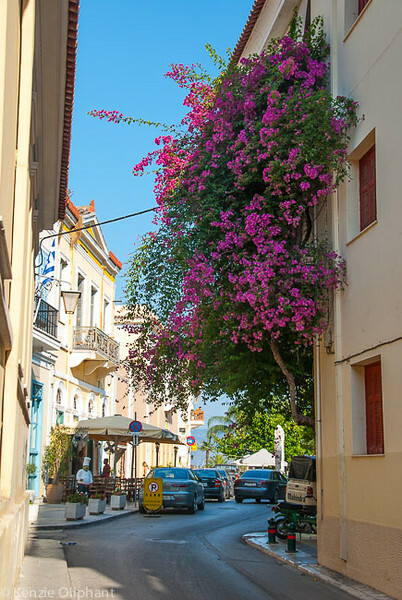 My goal: find my little hotel in the pretty and very ancient town of Nafplio, in the Peloponnese. If I’d had an Athenian army at my back it would have taken less than the three hours it took me, and that was after parking three times and asking for directions from kindly locals. It didn’t help that my hotel, like most of this picturesque town, was hidden away in the oldest streets and inaccessible by car. It also didn’t help that it was hotter than Hades – and I say that deliberately. Having travelled to Greece in the middle of summer, I now know where they got that idea from. It took parking in a tiny, one-way alley, then lugging my backpack along a bleating hot cobbled street for half a kilometre to get to my hotel, whereupon I had to climb two flights of stairs just to get to the front door. Of course, my room was on the second floor, so another two flights finally got me there. I plumped down and promptly sat in front of the air conditioner for a few minutes as I regained my sanity. My feet took me down to the water’s edge. 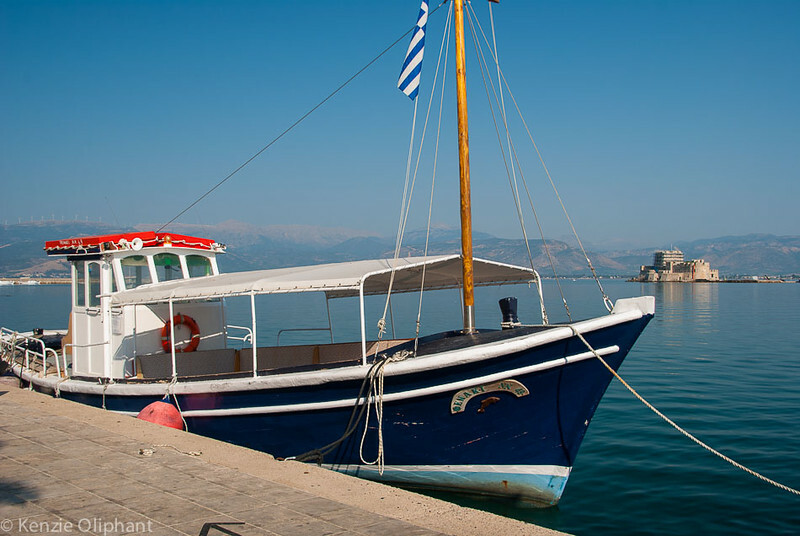 A pier, boats and a string of tavernas all gaze lovingly towards the impressive Peloponnese mountains across the water. I couldn’t pick it from where I was standing, but I knew the fabled Mount Olympus was among them, which was enough to send a shiver down my geekish spine. I sat down at a table and enjoyed an orange juice as I watched the sun set. For the first time in about 14 months, I began to relax. Around me, people began to fill up the cafe tables, ordering drinks or meals, relishing the cooler evening temperatures with a joy that bubbled in the air and filled it with laughter and conversation. I wanted to stick around for longer, but I was hungry, both for food and the need to explore further. I wandered back through the more populated streets and took a table outside a hip cafe scattered with good-looking, well-dressed young folk. I felt right at home (stop laughing). I ordered a beer and a tapas plate of parma ham and melon. What I got could have fed the Spartan army. For a week. I really wanted to stay longer, but exhaustion took me back to my room and bed. The next morning I was up early and hit the streets before the sun did. And most of the people, it turned out. I only had the one night in town and I wanted to explore some more before I had to leave. I drove up to one of the town’s three castles, and drank in the views across the Gulf. I could have climbed the interminable steps up to the Palamidi fortress but I chickened out. Seriously, I did. Sure, it was hot, and a long, long way up, plus I still had an exhausting drive ahead of me – but basically I chickened out. What can I say? Carrying my backpack all the way back to my car I decided then and there that I would come back and explore this area properly one day. Fifteen hours in a place like this is simply not enough to do more than skim the surface. It was a lesson I took to heart. As a result, I completely changed my mainland plans and instead of heading all the way north, I took my time to get to know the Gulf of Corinth. It was a good decision. 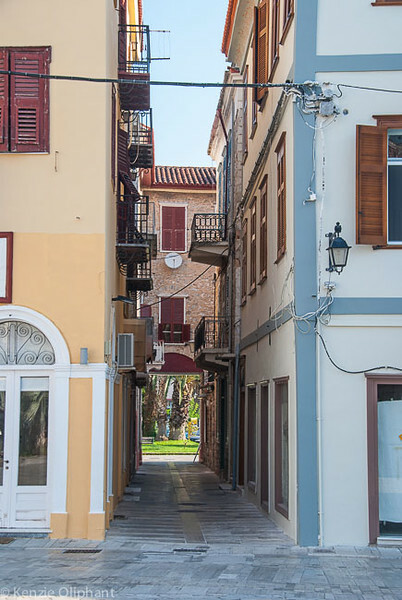 As a first taste of Greece, Nafplio danced sweetly across the palate. I’ll be very happy to go back for a second helping. 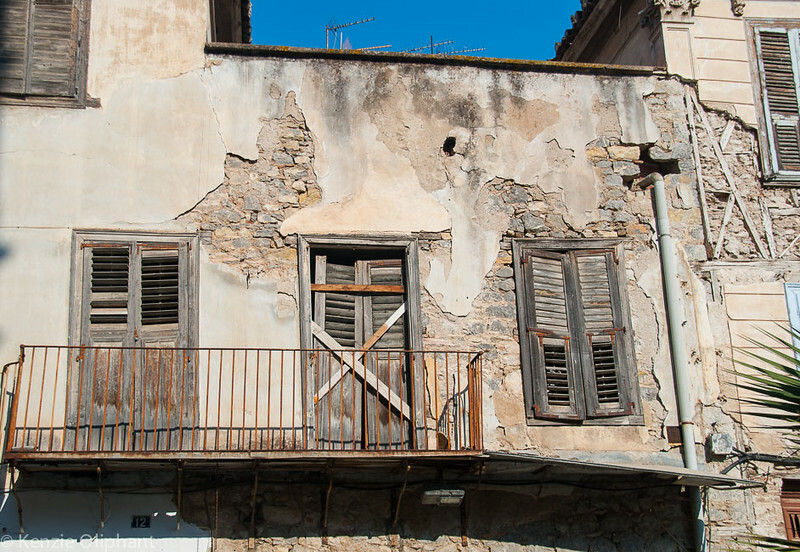 This small, unassuming town was the very first capital of a liberated Greece, from 1829-1834. It’s been the subject of multiple military sieges, invasions and occupations throughout history, both ancient and recent. In the last few hundred years, Turkey, and most famously the Venetians from 1686-1715 occupied Nafplio. 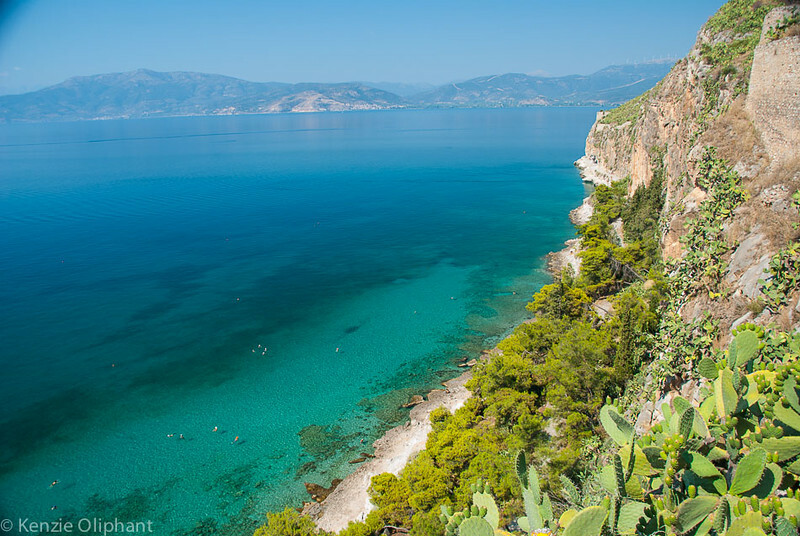 As a major port in the area, and being so close to the Ancient city states of Sparta, Corinth and Athens, Nafplio has often been at the heart of major moments in Greek history. Consequently, it makes a great starting point for explorations not only of the town, but major sites in the area. It’s a short journey from Nafplio to Mycenae, Tiryns, Nemea, Epidaurus, Corinth, Tegea and Argos. There’s enough Ancient Greek ruins amongst that collection to keep even me happy! This rich and diverse history has built a fascinating town worth visiting. 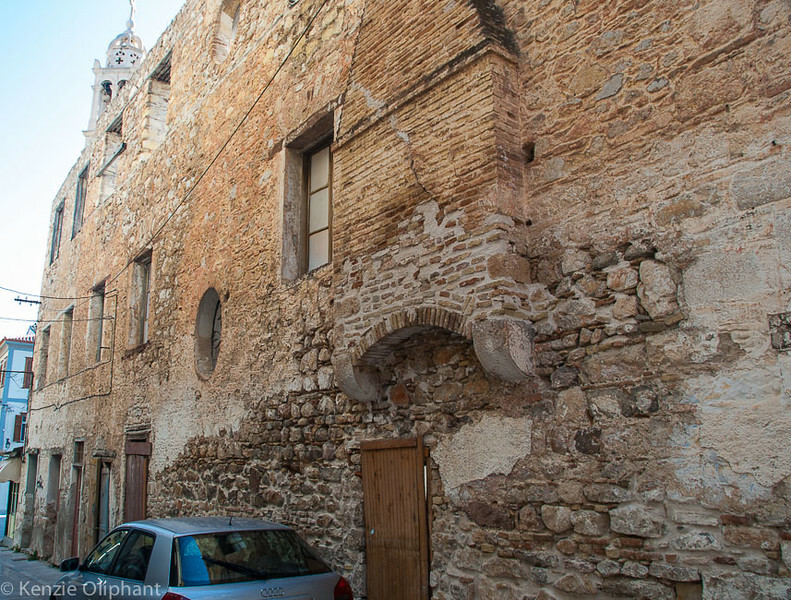 Ancient elements can still be seen in the medieval quarter which, while crumbling in places, is generally holding up well. The place is clearly loved by both its inhabitants and those who come to stay, as it’s well-cared for and clean. There are a couple of very good museums to see, plus the town’s three castles. 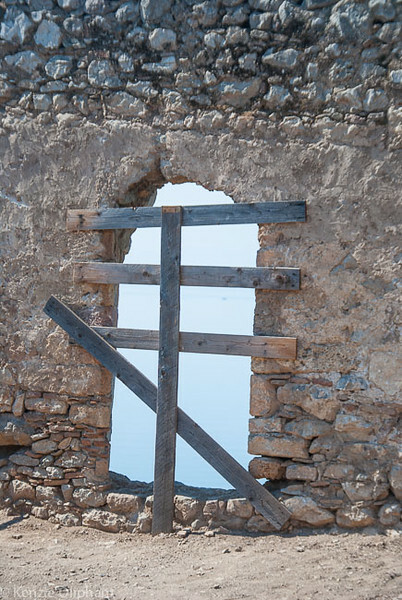 The island fortress of Bourtzi is visible from almost everywhere, and is currently having some restoration work done (which is fantastic to see given Greece’s financial situation). It was built by the Venetians to defend the navigable passage to the port, but was also home to the town executioner! Akronafplia was built on the site of the early Byzantine town on top of one of the hills, again making it very visible from the streets below. 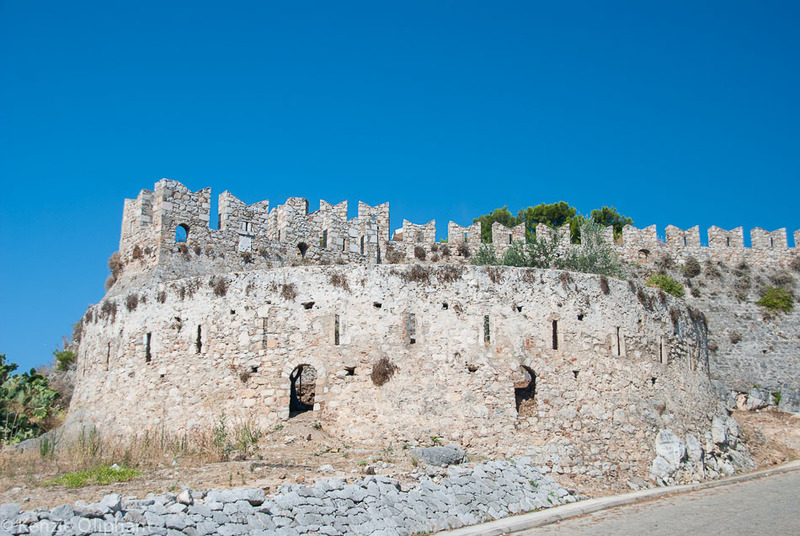 Palamidi, on the highest hill overlooking the town was built in 1714 by the Venetians and is the largest complex of its kind in Greece, enclosing no less than seven forts. There are over 1000 steps to be climbed to get to the top of the fortress. If you’re going in hot weather, take water and lots of time to do it. 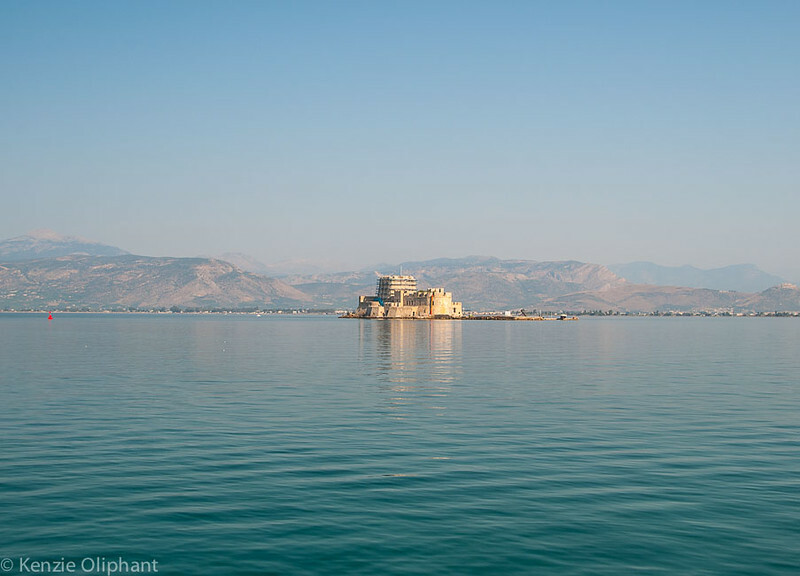 Nafplio is best seen over about three days, giving you enough time to see the castles, enjoy the food and have time left over for a swim or sailing the calm Gulf waters.